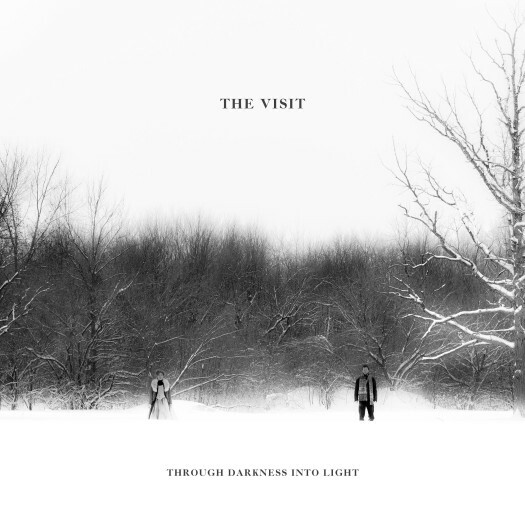 I won’t go on and on about Through Darkness Into Light by Ottawa’s The Visit. Mostly because words fail to capture the beauty found within these five tracks. As someone who knows next to nothing about classical music I implore you metalheads to listen to this most wonderful cello and voice duo. Raphael Weinroth-Browne (Musk Ox) mans the cello while Heather Sita Black takes care of the vocals. And both are stellar. Their compositions are long (the shortest is about eight minutes) but never boring. Each track is fraught with drama, moving from one emotional high to the next. From low and doom-laden to soaring above the highest peaks, Raphael takes the listener to places they can only imagine. Heather sings with the voice of an angel wistfully caressing the soul. Together they create movements of great tension both loud and soft, slow and fast, rhythmic and melodic. These are met with the aforementioned beauty. These elements and others flow together in operatic fashion, laying out the emotional stories. Heather’s voice is unshakable. It grabs hold with the intoxicating pull of a romantic lover, ensnaring the listener and opening up their heart with gorgeous melodies. Raphael is equally captivating. His control is masterful and bold, using his entire instrument and varied technique to ensure the darkness and light bend to his will. Together they become more than the sum of their parts. Their dynamic approach, modern yet traditional, and unquestioned chemistry is stunningly compelling. Through Darkness Into Light exudes a power far beyond might. Its power comes from within rendering those with open hearts and open minds helpless to resist its charms. The Visit are able to invoke a plethora of emotions and desires including heartache and sadness, joy, revenge, madness, solace, desperation and hope, all under a shifting sky both cold and warm, thick and airy, through darkness into light. Enough blathering. Just listen and be amazed.